Hyaluronic Acid. Use to reduce fine lines caused by dehydration. 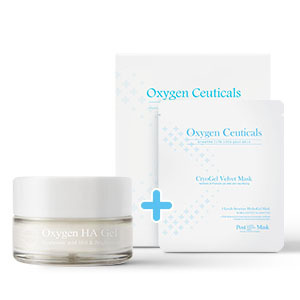 Oxygen Ceuticals Cryogel Velvet Mask. Layering with this mask after applying the HA Gel.